Jawaharlal Institute of Postgraduate Medical Education & Research (JIPMER), Puducherry has released the prospectus for JIPMER MBBS 2017 on February 18. 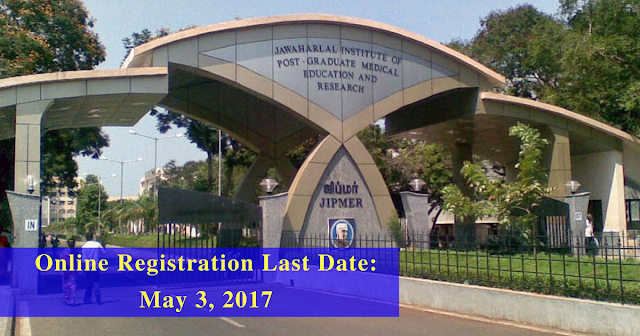 Candidates who wish to apply in JIPMER MBBS 2017 can check below for the eligibility criteria, important dates, result details. The cost of JIPMER MBBS 2017 application form for general and OBC category candidate is Rs.1200. While for SC/ST candidate, JIPMER MBBS 2017 application form fee is Rs.1000. What's New in JIPMER MBBS 2017? There is an increase in the JIPMER MBBS Application fees 2017. Now candidates belonging to Gen/OBC category will have to pay Rs 1200 and candidates belonging to SC/ST category will have to pay Rs 1000.